Microsoft SQL Server 2017 Standard Open Charity licenses are an excellent option for customers looking for basic functionality and features. These licenses are limited to a maximum of 24 cores and 128GB of memory per instance and production use rights. Microsoft SQL Server 2017 Enterprise Open Charity licenses deliver the most robust, enterprise class features. SQL Server Enterprise allows your organization to license an unlimited number of cores, utilize the operating system maximum for memory per instance, access high availability features, data encryption, and advanced machine learning integrations. This makes Enterprise licenses both the most robust and secure license level! Aventis Systems delivers all of our Microsoft SQL Server 2017 Open Charity licenses by email for your convenience! In addition, licenses are available in single server and per core bundles giving an easy path to scale up your SQL server over time. So shop our licenses below and bring the best in budget saving relationship database management to your non profit or tax exempt organization today with Microsoft SQL Server Open Charity Licenses! 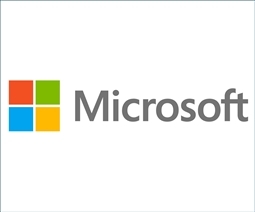 All licenses require registration of the organization's 501(c)3 documentation with Microsoft prior to license delivery. ALL Microsoft SQL Server 2017 Core Licenses Require a Minimum of 4 Cores Purchased for New SQL 2017 Customers!